There are many risks when it comes to selecting OEM suppliers. Understanding them is essential to running a successful business. In this article, we’ll examine the factors that impact scheduling and time-to-market when using an offshore supplier. Distance can make a real impact on the efficiencies and costs of your supply chain. Companies with off-shore suppliers must build in lead time delays into their inventory to ensure they have enough product to meet the market demands. If they overestimate, they risk having a surplus in products they can’t sell. If they underestimate, they end up short on stock and with unhappy customers. These inventory costs can add between 20%-30% to total product costs. Choosing suppliers closer to the consumer provides improved inventory planning and response to market conditions. A new tool created by the Op Lab at The University of Lausanne, Switzerland called CDF (Cost Differential Frontier tool) can help companies determine how lead times impact the cost of off-shore sourcing. When working with off-shore suppliers, transit time is a big consideration. Companies need to allow not only for the time to port, but from port to destination. Savvy buyers will also build in additional time for potential delays. Worse case, product shipments must be expedited using costlier shipping arrangements. Shipping from China to the East coast, takes approximately 30 days, to the West Coast takes less time (on average 20 days.) If your factory is using an inland port initially, it could take several days before the shipment arrives at the ocean access port. Preparing documentation, getting through customs and shipping from the port can add several weeks to the journey. Factory delays can lay any strategic plan to waste. Many factors can cause these delays including problems in material sourcing and delivery, worker unrest, or plant overcapacity. When resources are strained at the factory, it creates a bottleneck that can greatly alter time-to-market estimates. Delivery delays may occur when Customs Officials find an issue with the product or, a product has been found to be inferior and is rejected. Parts that don’t meet the quality standards of the importing company or government agency can cause substantial delays in delivery. These inferior or sub-standard parts may even be confiscated or destroyed. 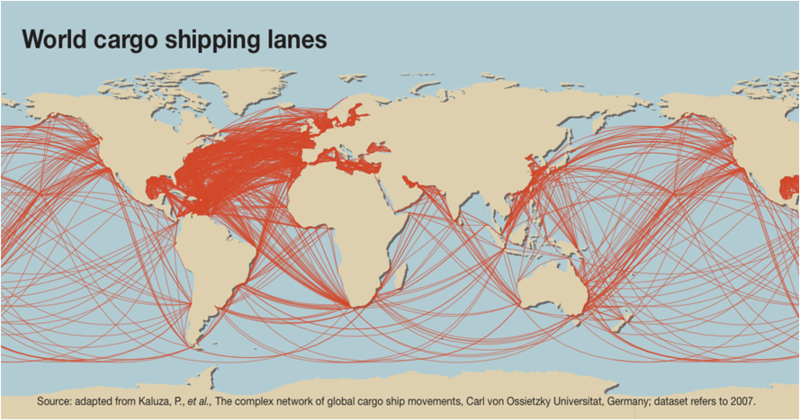 Transshipment occurs when products begin their journey using one form of transportation and end it using another. This might occur when a shipment is not large enough to fill a container but must be consolidated with others to meet the carrier’s requirements. Unfortunately, this consolidation can add substantial amounts of time and these delays cannot easily be addressed. If a company chooses an off-shore or Chinese supplier, they should include additional time as a buffer against any unforeseen transshipment delays. As the 2014 L.A. port slow-down proved, market delays can wreak havoc on any business. Many businesses who were expecting shipments via boat were forced to air freight the cargo from China. Shipping by air is a costly alternative and one that can destroy all hopes of a profit margin for many businesses. By understanding all of the factors that can impact the delivery of your product, you can be better prepared for all contingencies.